Well, no wonder, we can blame some of our own. Here's some of the reason for the shift to RepubliCUNTS!! 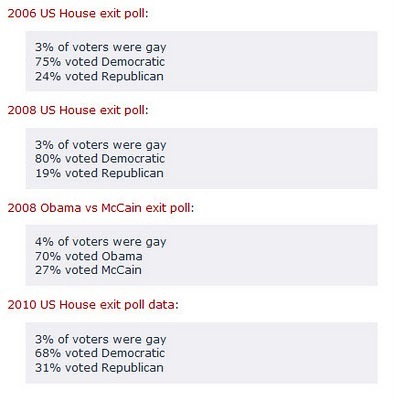 Gay support for Democrats was down 12%.